You know, Star Wars Day – May the Fourth – is less than a month away. So let’s start getting into the spirit of the holiday. 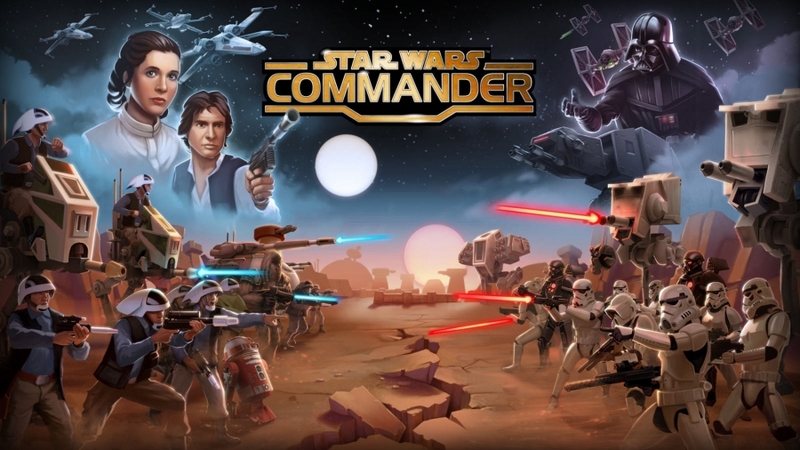 This week, we look at a game called “Star Wars: Commander”. In “Star Wars: Commander,” you take part in the Galactic War of the original trilogy. The game takes a “Clash of Clans” approach and has you build a base, that you must ultimately defend against other players. Before building your base however, you must choose a side. Do you want to fight for the Rebellion, or do you want a taste of the galactic might of the Empire and it’s relentless stormtroopers? Once you pick a side, and build your initial base, you must train an army and build your defenses. What’s nice about “Star Wars: Commander” is its story mode that takes place on many different planets. Using iconic characters such as Darth Vader, Han Solo and Princess Leia, you will get missions that you have to complete for your allegiance. These missions can range from assaulting bases, to defending against attacks from AT-ATs and more. You eventually unlock the ability to call in airstrikes from Tie Fighters or X-Wings which are fantastic fun. Completing these story missions nets you rewards and points to level up and expand your army and base. “Star Wars: Commander” is a fun little game to waste time on and a fantastic “Star Wars” experience if you are looking for one. “SW: Commander” is free to download on the Android and IOS stores.